If you are looking for a design that is not too plain the Premier Canberra kitchen door design is certainly worth a look at. This door design has 25mm bevelled edges all the way round and a subtle pattern in the centre. Premier Canberra drawer fronts start from £2.10. 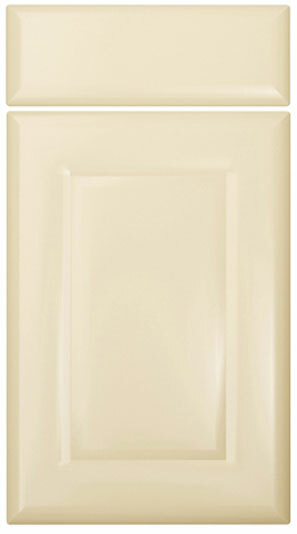 Click the button to purchase a Sample Premier Canberra design kitchen door. The Premier Canberra design is available in ALL non-gloss finishes. The Premier Canberra design is available in ALL high gloss finishes. Please Note: The Premier Canberra design is NOT available in any high gloss finishes.